Have you heard the MKTO hit, "Classic"? If you haven't, I have conveniently placed it above. Listen to it. Even if you have before. (It's that good). Okay, we're back. On to the post. Have you noticed the incredible power that a classic lady has on a culture that is, in the words of said song, "plastic"? Audrey Hepburn's 85th birthday is today, and looking back, it is easy to sigh and say "Ah, the world was so great back then. I wish I'd been born back then." Or, at least I do. Maybe I'm crazy. It is possible, even in this era, to be classy. And, ladies, guys will rise to the occasion. On the other hand, if you desire to be noticed, and only rely on immodesty or brash language, you will be treated as you project yourself. Want to be treated like a lady? Act classy. Not stuck-up and snotty, but confident in who you are as a daughter of God. Some quick tips are below - and notice, these are not labeled "instant lady-like qualities for you to pick up in one day." Being classy requires practice and upkeep, but anything worth while is worth working for. Tip One: Be a Friend Friends - true blue friends - are sometimes hard to come by anymore. 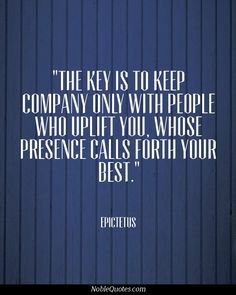 Yet who you keep company with says a lot about who you are. If you hang out with those whose entertainment is gossiping, then you are projecting that you yourself enjoy said activities. Pick your friends carefully - W. Somerset Maugham once said that "When choosing friends, don't be short-changed by choosing personality over character." Okay, going to be honest here. The catchphrase "Modest is Hottest" is offensive to me - since it connotes that even if you are dressing with modesty and femininity, you can still be referred to as "Hot." You need to referred to as "Beautiful" - not "Hot." You are a child made in the image of God, not an object. Now that that is out of the way, be classy and respect yourself. When you wear a low cut top and short shorts, the last thing on a guy's mind is "Wonder what her favorite color is?" To be frank, guy's are visual. Unless you prefer them imagining what you look like without the little clothes you have on, respect yourself and your brother in Christ by wearing modest clothing. Not because you are ugly and need to be covered up, but because you are beautiful and leaving a little to the imagination is attractive. on topics that are more intellectual of nature. Not saying don't have fun, I'm saying have some clean fun. Conversations that you wouldn't blush at if Christ was there. I cannot tell you how nice it is when walking across campus to have someone smile at you. Or to say "Hi" in class, ask someone how their weekend was. It doesn't require a lot of effort, but it makes a difference. A simple smile could sincerely make someone's day. Also, how you treat people is a huge indicator to people. If you are snarky to waiters, grocery store clerks, or bank tellers, it reflects badly on the fact that you claim to be a Christian, but do not let your belief in Christ interact with your daily life. Any tips on being classy in a world gone plastic? Comment below!